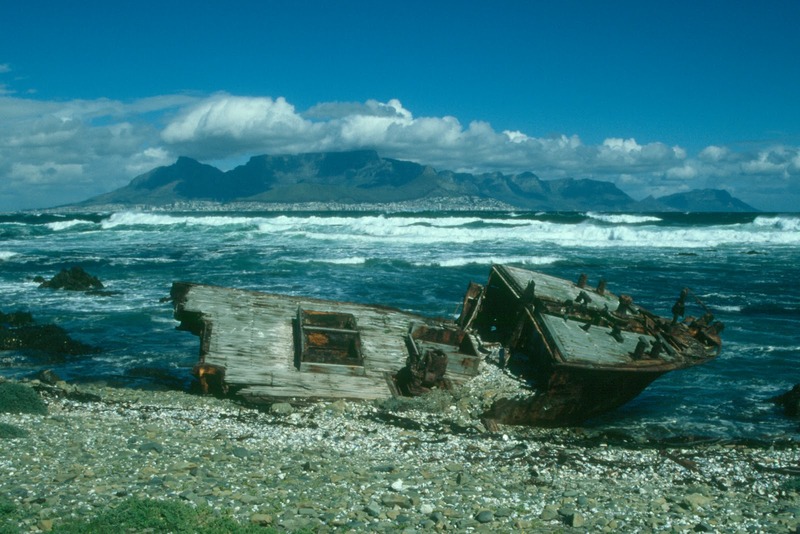 South Africa was one of the first countries outside Europe awarded with a "blue flag" for some of the countries beaches. Cape Town's Chapman's Peak Drive is one of the most spectacular marine drives in the country and the world. The road hugs the near-vertical face of the mountain from Hout Bay to Noordhoek. The 9km route, with its 114 curves, skirts the rocky coastline of Chapman's Peak, the 593m high southerly extension of Constantia Berg. The drive offers stunning 180° views. And thanks to Google Street View you can now take a "virtual drive" along the coastal road... Awesome! Why traditional wildlife conservation seems failing and what we can do to fix it! Traditional wildlife conservation seems to be failing (eg see: Africa: National parks hit by mammal declines), biodiversity loss is continuing, the species we've set out to protect are more endangered than ever etc.. To sum it up - it has to be done something! Dr Alan Rabinowitz is one the few conservationists who keeps on addressing the problems and who is giving actual solutions on how to get back on the course of successfull wildlife conservation at the same time. Rabinowitz is the CEO of Panthera – a nonprofit conservation organization devoted to protecting the world's 36 wild cat species, and one of the world's leading (and most charismatic) wildlife conservationists. in Thailand, he conducted the first ever radio telemetry research on Asiatic leopards, Asian leopard cats, and civets, leading to the designation of the Huai Kha Khaeng Wildlife Sanctuary as a UNESCO World Biosphere Reserve. There are way more projects he started that led to new protected areas, National Parks, preserves etc. Have a look on wikipedia for more. Anyway, Treehugger.com's Brian Merchant met Dr Alan Rabinowitz for an interview recently and filmed it. In the interview (see videos below) Rabinowitz explains why he thinks that the traditional model of wildlife conservation is failing and what his ideas are to fix it! Why do leopards have rosette shaped markings but tigers have stripes? Rudyard Kipling suggested that it was because the leopard moved to an environment "full of trees and bushes and stripy, speckly, patchy-blatchy shadows" but is there any truth in this just-so story? Researchers at the University of Bristol investigated the flank markings of 35 species of wild cats to understand what drives the evolution of such beautiful and intriguing variation. 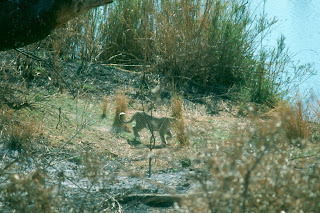 More on Why the leopard got its spots! 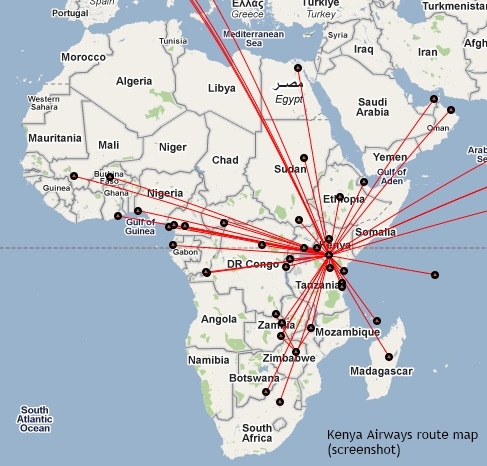 Kenya Airways will code share on daily Qantas flights between Bangkok and Sydney, while Qantas will code share on daily Kenya Airways services between Bangkok and Nairobi. 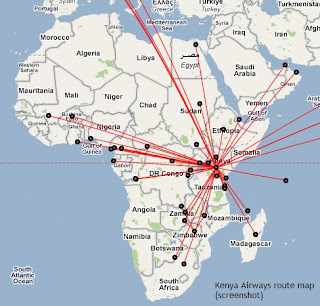 The code share agreement is giving Qantas passengers the opportunity to access the 41 destinations flown by Kenya Airways in Africa and will also complement Qantas’ direct flights between Sydney and Johannesburg, which will be increased to a daily frequency. I love Google Street View. I think it is an amazing tool for everyone travel planning or at least for the vivid armchair travellers. Anyway - after I found out that you can go on a "virtual safari" through Kruger National Park via Street View the other day, I had a look for other National Parks in South Africa and found Addo Elephant National Park also to be covered (in parts) by Google Street View. Great! btw - also check the virtual tours on the blog! Due to a ongoing financial dispute between the Passenger Rail Agency of South Africa (Prasa) and Transnet, the Shosholoza Meyl passenger train service in South Africa is currently running at only about 50% of their "normal" service" supplemented by City to City and Translux bus services. The UNESCO World Heritage Committee has expressed its utmost concern about the proposed highway in the northern wilderness area of the Serengeti National Park during the 34th Session of the World Heritage Committee meeting in Brasilia, Brasil. The UNESCO World Heritage Committee will now send a monitoring mission to Tanzania to discuss alternatives with the authorities as well as to asses the potential threads caused through the highway. Table Mountain Cableway: buy tickets online and save! Table Mountain Cableway decided not to increase rates for their online tickets, which are available since 01 Oct 2010. The online tickets remain at R170 (adult) and R80 (children under 18) for a return ticket. Ticket office rates on the other hand have increased slightly with adults now paying R180 for a return ticket and children (between four and 17 years) paying R90. There are also very good news for hikers, because one-way tickets can now also be bought online. Purchase your online ticket beforehand (skip the ticket office queue!!!) and simply redeem it once you’re ready to go back down. A one-way online ticket for adults will cost R90, and R40 for those under 18. SANParks WILD Card holders pay R144 (adult return) and R76 (adult one-way) or R72 (child return) and R36 (child one-way). Pls note that WILD Card rates cannot be bought online. Did you know... that Carlsberg is the most popular beer in Malawi? Back in 1966, during some independence celebrations in Malawi, a Danish Foreign Minister (not to sure if it was Per Hækkerup or Jens Otto Krag) visited the country. He wasn't impressed by the beers available and therefore suggested to the former Malawian President, Dr Hastings Kamuzu Banda, that when he returned home, he would ask Danish beer brewers Carlsberg to open a brewery in the country. Said and done and two years later Carlsberg Malawi Brewery Limited (CMBL) was founded and officially inaugurated by former president Dr Hastings Kamuzu Banda. By that time CMBL was the very first Carlsberg brewery outside Denmark! Nestled in the Schurveberg Mountains in the Valley of the Hennops River, Tom's Backpackers is probably Gauteng's best-kept secret. The backpackers is a cool, fun, friendly, self catering environment that caters for all your needs. The rates at Tom's Backpackers are really low as they strive to bring you a balance between value and quality. Play and listen to your own music as they have a Jukebox or just watch some music videos. Come visit a vast array of local attractions. Tom's Backpackers also has IT facilities like uncapped internet and WIFI. Experience a "REAL" destination rather than the packaged version often associated with mass tourism. From Joburg: Take William Nichol, which becomes the R511. Pass Diepsloot, through N14 (Kdorp highway) intersection. Pass castle garage on your right and a few KMs later, TURN LEFT following the 511; do not continue straight! (Straight, the road becomes the M26). (There are numerous signs for 'Tatz' and 'Mangwanani' 'Hartbeespoort' and others). Pass Idlewinds, past Tatz Junction, Past Hennops Pride, We are on the right hand side next to the School. South Africa will continue to use the Advance Passenger Processing (APP) system to screen tourists coming into the country. The system was first installed prior to the 2010 World Cup to stop travellers whose names appeared on South Africa's Visa and Entry Stop List or watch lists provided by Interpol and soccer’s governing body, FIFA, from entering South Africa. Local South African graffiti artist, Falko, has taken his art form in a completely new direction. He painted four different pieces in four completely different locations, that all come together to make one big SPLITPIECE. Super Furry Animals frontman Gruff Rhys is out with a new song. 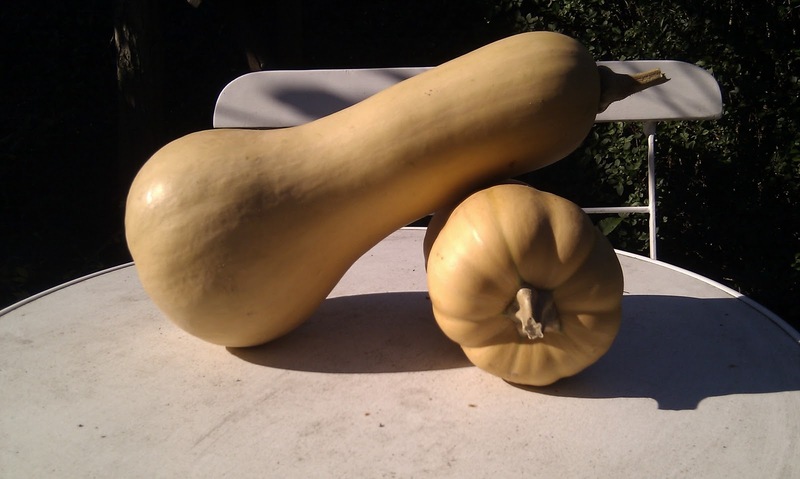 The tropically-imbued song "Shark Ridden Waters" is available over at his site, the hilariously titled Gruffington Post. You'll need to give your e-mail to grab the song. See below! Thanks to Google Street View you can now go on a virtual safari through Kruger National Park. Street View is covering almost the whole southern part of the Park, including the area around Numbi Gate, Pretoriuskop, parts of the Sabi Sand Game Reserve, Skukuza, Lower Sabie and the area around Crocodile Bridge Gate. Safari njema! btw - also check the other virtual tours on the blog! Once again HostelBookers highlights several reasons why their customers remain loyal to the hostel/hotel accommodation specialist. It is 8.7% cheaper than Hostelworld*, it doesn't charge you a service charge or booking fee, it offers a lowest price guarantee and will pay customers double the difference if customers find the same deal cheaper elsewhere **. Due to the widespread appeal of these features, HostelBookers is today launching a great promotion, offering customers of Hostelworld the chance to receive a 50% deposit refund when they make their first booking with HostelBookers***. 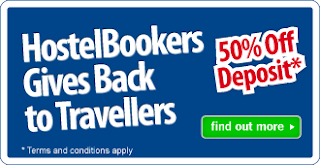 But to show appreciation to their current customers, they are also offering the same deal to 1,000 randomly selected HostelBookers’ customers too. For more details visit www.hostelbookers.com/gives-back-to-travellers. ***Terms and conditions apply, booking eligibility must be verified and customers must book using the same email address. Skype & Hostelworld are running a great promotion - book a hostel via Hostelworld by 9am GMT on Oct 28th 2010 & get 60 minutes free credit from Skype. With it you can call people on mobiles & landlines worldwide using your Skype credit at really low rates! The promotion is open from 09.00am GMT on 18th October 2010 until 09.00am GMT on 28th October 2010. Upon making a booking via Hostelworld the Participant will be notified on the confirmation screen and confirmation email that they have received “up to 60 Minutes Free Credit” from Skype. They will also be notified that they will receive a separate email from Hostelworld.com within 72 hours with their “up to 60 Minutes Free Credit” voucher code from Skype and details of how to redeem the free credit from Skype. Great offer! Pls don't forget to read the T&Cs of the promotion! Cape Town is now the favourite destination for British Airways passengers worldwide. Although the 2010 Fifa World Cup undoubtedly contributed to the trend, Fin24.com quotes Sue Botes (BA’s commercial manager in South Africa) saying that the demand for flights to Cape Town was on the rise even before the 2010 World Cup in South Africa and that reservations for flights to Cape Town (and Johannesburg) are currently also looking very good. 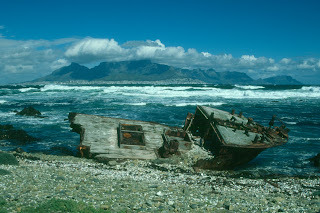 Therefore British Airways is starting a new daily flight to Cape Town as from November 2010. One of the than two flights a day to the Mother City will be on Boeing's new 777 airplane. According to zambianwatchdog.com, South Africa's biggest intercity passenger bus services Intercape will introduce its services to Zambia from the end of October 2010 on. The mainliner will connect Johannesburg in South Africa with Lusaka and Livingstone (on the Zambian side of the Victoria Falls) in Zambia. Very good news for budget travellers as flight rates from Johannesburg to Zambia are mostly pretty high. "I travel on the cheap side, because I couldn't afford it otherwise. But it also changes the whole travel milieu. The moment hardship is there, you can relate to the locals and they realise that you're in the same situation, so they open up more. I believe that travel is experiencing the places with the people, because the people make the place and vice versa. I'm not really very philosophical, but that's what makes travel interesting for me." Get Johan Bakkes' book "To Hell And Gone"
Namibia is home to a unique population of so-called desert elephants that have adapted to the arid, and sometimes inhospitable, climate of the Namib desert. They are mostly found in the Damaraland region in the northwest part of the country. Those elephants can go for days without drinking water, but thanks to their amazing memory they acutally know where to find the rare, but essential, water in the desert. Thx to Johan from planyoursafari.com for telling me about the vid! Skype launched the new Skype 5.0 version today inclunding some pretty interesting travel tools. In the new version both Facebook News Feed and Phonebook are integrated, so that you can now comment, like, call and SMS your Facebook friends on their mobile phones and landlines from Skype or make a free Skype-to-Skype call if your Facebook friend is also a Skype contact. The look of the new Skype is also slightly different making voice and video calling, instant messaging, screen sharing and file sharing quite intuitive and therefore easy to navigate. Another new feature is the group video calling (open beta version) which you can use to talk to (and look at) a group of friends, colleagues etc. The South African online newspaper news24.co.za is reporting that the South African air safety standards are now improved to such an extent that there are no major deficiencies. In the article the country' Civil Aviation Authority’s commissioner Captain Colin Jordaan is getting qouted saying that that in terms of the International Civil Aviation Organisation requirements, there were "no major areas where South Africa is deficient when it comes to meeting international standards." He also said the country now had safety inspectors for every type of aircraft. Many of these inspectors were checking aircraft across Africa guaranteeing flight standards throughout the continent. In the article it is also mentioned that there was no single aircraft accident during the 2010 FIFA World Cup despite a dramatic increase in flights during that time. Hostelworld got its first hostel signup from Rwanda! Hostelworld got its first signup from a hostel/backpackers in Rwanda. The Discover Rwanda Youth Hostel is located in the country’s capital city, Kigali. It is just off the Boulevard de L’umuganda in the Kacyiru area of the city. The hostel boasts internet access, a comfy common room, an outdoor barbeque area and plenty more. Breakfast is included in the price. The Kacyiru area is populated by many of the Rwandan Government's Ministries, different hotels, banks, restaurants, clubs and is a quiet and secure area. The property has a large garden with views overlooking the green hills of Rwanda at the end of the golf course and views of the city. Kacyiru is also home to many of the high commissions and embassies in Rwanda. The hostel has excellent transport links by foot, bus, car or motorbike. The property is a short ride away from the centre of town via different forms of public transport. Public transport to anywhere in the city is easily sourced at any time and is cheap. Information about transport in Kigali and around the country is available at the hostel. The Two Oceans Aquarium at the V&A Waterfront in Cape Town is now offering e-tickets to their customers. The online tickets can be purchased via the aquarium's website. As an an introductory offer the e-tickets can be bought at a discounted rate of 10% off the normal entrance fees. The tickets are valid for 90 days from the date of purchase instead of being valid only for the day of purchase if bought from the ticket office. Update (08 Dec 2010): The Two Oceans Aquarium is extending its operating hours during the festive season. It will be open from 09h00 to 20h00 from 16 Dec to 09 Jan. I just came across this very interesting 45min documentary about South Africa after the 2010 World Cup. Al Jazeera's Rageh Omaar travels the country and talks to South Africans from various backgrounds and perspectives about their life during and particularly after the most succesfull FIFA World Cup to date. In June 2010, the eyes of the world were on South Africa as it hosted the FIFA World Cup. For ordinary South Africans, it was also a month-long reprieve from the usual bad news about crime, corruption, and poverty that has plagued the nation in recent years. But it is only now, months after the World Cup has been over, that South Africa can finally assess how it moves forward and how it overcomes the huge number of challenges it faces. Conversations With Myself, which is going to be released worldwide today, gives readers access to the private man behind the public figure: from letters written in the darkest hours of Mandela's twenty-seven years of imprisonment to the draft of an unfinished sequel to Long Walk to Freedom. Here he is making notes and even doodling during meetings, or recording troubled dreams on the desk calendar of his cell on Robben Island; writing journals while on the run during the anti-apartheid struggles in the early 1960s, or conversing with friends in almost seventy hours of recorded conversations. In these pages he is neither an icon nor a saint; here he is like you and me. South Africa was showcased in full colour in a six-page supplement in the prestigious US-American Washington Post newspaper, titled South Africa Now and produced on behalf of Brand South Africa. The supplement was included in the 6 October 2010 edition of the newspaper. It features contributions by Professor Anton Harber, Caxton chair of journalism at Wits University, veteran journalists Simon Barber and John Battersby, AngloGold Ashanti CEO Mark Cutifani, South African Deputy President Kgalema Motlanthe, US ambassador to South Africa Donald Gips, Jann Turner, the director of hit South African movie White Wedding, and Miller Matola, CEO of the International Marketing Council of South Africa. Wow! I've watched a lot of "adrenaline" videos on youtube and vimeo recently, but I haven't seen something like this - a basejump of Chapman's Peak in Cape Town. It's a perfect mix of the natural beauty of the place, the thrill, the madness and the live footage from the jumper's perspective of jumping down that mountain. Wow! Alright, don't try this unless you are a pro! Cape Town is offering other really mindblowing and safe adrenaline kicks, such as abseiling off Table Mountain, tandem skydiving or paragliding, sandboarding and much more! The two short hiking trails in the Mountain Zebra National Park (MZNP) have re-opened to visitors following their closure in mid July 2010 after a fatal incident between a hiker and a buffalo bull. The 1-kilometre Imbila Hiking Trail and 2.5-kilometre Black Eagle Hiking Trail, which start and end at the rest camp area, have re-opened after fencing of the entire rest camp area and the short hiking trail area. It is getting very hot at the mighty Victoria Falls in October and so the famous Backpackers Bazaar, Shoestrings Backpackers, Fact Vic Falls Rocks, Blu Zoolu, Mama Africa, Zimbabwe Tourism Authority, Hotel Serve have teamed up to organise something to keep you refreshed & cool - the 2010 Victoria Falls Beerfest. They have got the best local Djs and bands playing including Dj Spevar, Dj Easy T and Dj Francis with live drumming shows, fire poi displays, stilt walkers, cage dancers and just about anything else they probably could think of. There'll be a general public area available to all ticket holders and a VIP lounge area for VIP ticket holders and great food will be available all party long to keep your energy up. 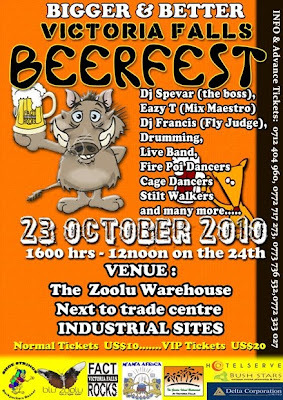 The event is going to take place at "The Zoolu Warehouse" in Victoria Falls on 23 October at 16:00 - 24 October at 00:00. Normal Tickets are US$10 and VIP Tickets US$20. For more info visit victoriafallsbeerfest.blogspot.com. Stay 4 nights at any of their camps and get 50% discount! Get 35% discount for any booking less than 4 nights! The special offers are valid for bookings made between 01 Nov 2010 - 31 March 2011 and are subject to availability. Rates are on bed & breakfast basis only. Park usage fees are not included. Read the complete T&C on the poster (click on it to enlarge)! Did you know that Mount Kilimanjaro has three peaks? Mount Kilimanjaro, actually a stratovolcano, is composed of three distinct volcanic cones - Kibo 5,895m, Mawenzi 5,149m and Shira 3,962 m. Uhuru Peak on Kibo's crater rim is the mountain's highest summit. Mawenzi and Shiba are already extinct while Kibo is still dormant and could erupt again. Mt. Kilimanjaro is the highest mountain in Africa and fourth highest of the Seven Summits. It is the tallest freestanding mountain in the world, as well as the 4th most prominent mountain in the world. Kilimanjaro Timelapse from Adolfo on Vimeo. The name Kilimanjaro has no certain origin, but one of the most popular theory is that it comes from the words Kilima (swahili, meaning "mountain") and Njaro (kichagga, loosely translated as "whiteness"). Kilima Njaro could be translated as White Mountain which might be refferring to the shiny snow on the peak of the mountain. Internet travel agency Opodo UK is giving you the chance to win a pair of return flights to South Africa with South African Airways ex the UK. Just enter the 5 questions on the competition website, enter your email address, and you could soon be winging your way to Johannesburg or Cape Town. Competition ends on 31 Oct 2010. Good luck! In a large saucepan/pot, heat some oil. When its hot, add about 1/3 of the beef and brown well. 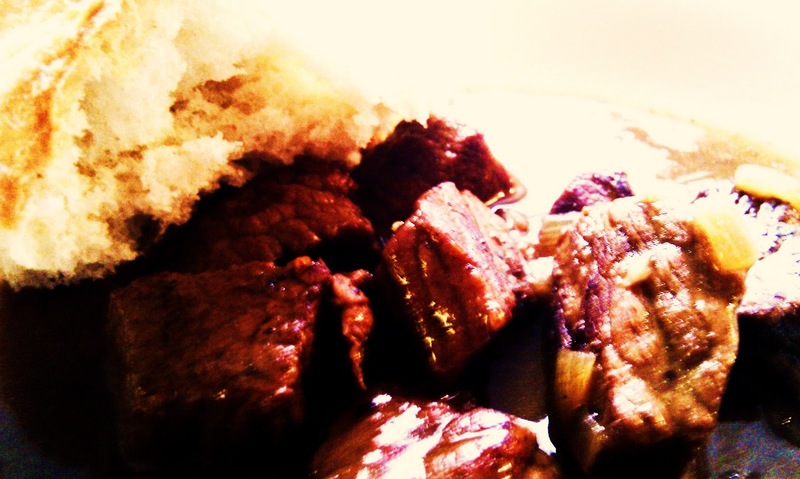 Remove the beef cubes from saucepan/pot, place in a bowl and set aside. The Tanda Tula Safari Camp is renowned as one of the most luxurious tented camp in South Africa. The camp is set amidst thousands of acres of pristine wilderness in the Timbavati Private Nature Reserve, adjacent to the Kruger National Park. With a handful of visitors and a limited number of game-viewing vehicles, and no fences between the Kruger Park and Timbavati, the words private, secluded and tranquil best describe the Tanda Tula experience. Early-morning and evening safaris are conducted in open safari vehicles, and daily walks are offered with professional rangers and trackers. The Tanda Tula Safari Camp is now the first in the Timbavati Private Nature Reserve to offer overnight walking safaris. Itineraries are individually tailored to suit guests’ interests & requirements. A four-night package is generally recommended, with two nights spent at the base Tanda Tula Safari Camp and two nights in the bush at the remote Machaton Hide.